If you follow me on Instagram, you have likely seen my latest quilt design, Disperse. The pattern is now complete and on sale in my shop for only $6.00 through May 1, 2017. PDF versions are available now and paper copies will be mailed out by the end of the week! The quilt finishes at 42" square, which is a perfect baby/toddler size. 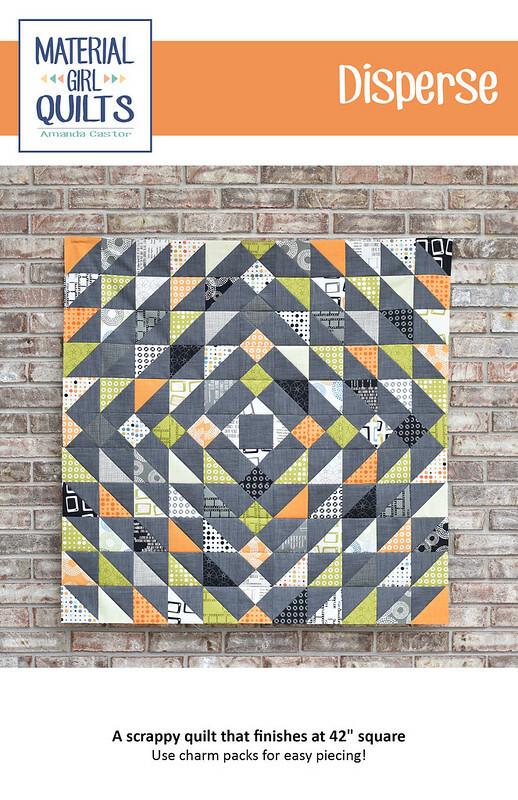 You can use charm squares for quicker piecing or raid your scraps for 60 - 5" squares.